Note: You need to be an account administrator to manage companies. Click the Global Settings icon, and then select Companies & People. 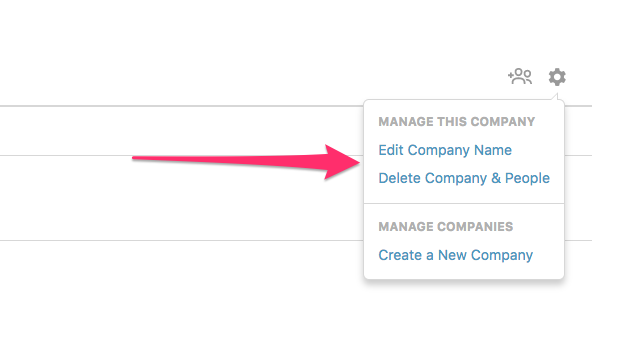 Next, choose the company by clicking on the People title and then selecting the company to update. 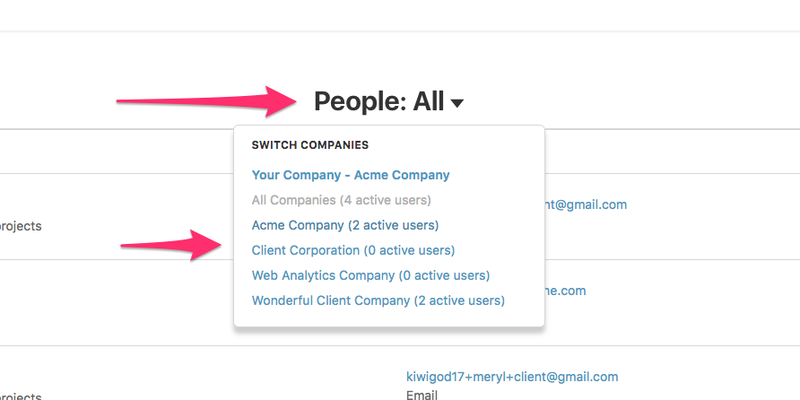 Click the Company Settings icon to the right, then choose the action you'd like to perform. 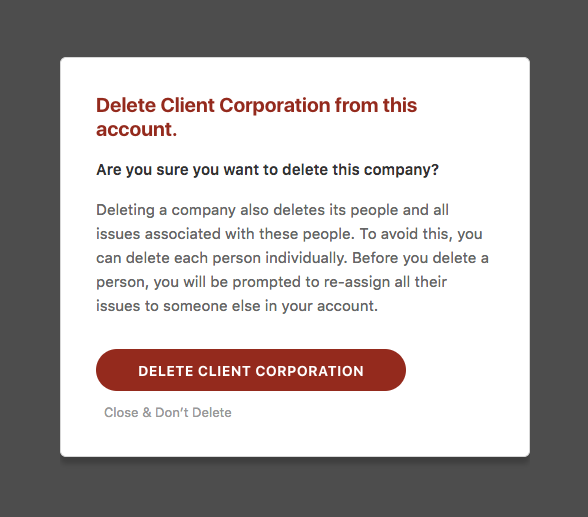 If you're deleting a company, all issues associated to the company will be permanently deleted as well. In order to persist the issues, delete each person individually so that you can re-assign their issues to someone else in the account.